To fully support our diverse student body, to create a rich learning environment, and to maintain our focus on civil rights — the PFC needs your help! Please consider joining a PFC Committee. Annual Giving Campaign Committee – The Annual Giving Campaign is the PFC’s major fundraising effort of the year. Help us engage with the school’s supporters through emails and flyers, write thank-you letters, and keep the community updated on our fundraising progress. The Annual Giving Campaign runs from September through December 2018. For more information, contact donations@harveymilk.com. Events Committee – Fun community-building events are the heart and soul of the PFC! Assist with planning & executing events such as Movie Night, Family Potluck, and Halloween Parade & Dance Party. In the spring, we especially need volunteers for Spring Carnival and Drag Show. 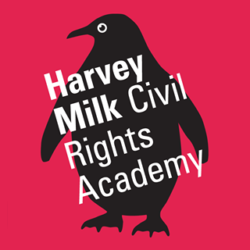 For more information, contact events@harveymilk.com. School Tours Committee – Our school’s reputation as a hidden gem is growing, and tours are more popular than ever. Help to organize and give tours on select Thursdays from 9:30-10:45am between October 2018 – January 2019. For more information, contact tours@harveymilk.com. Grant-Writing Committee – As funding from the state dwindles and our budget gap continues to grow, we continue to search for creative ways to close the gap. Help find and apply for outside grants that give our diverse and inclusive student body the programming and support that it deserves! To volunteer, contact pfc@harveymilk.com. Diversity & Inclusion Committee – The Diversity and Inclusion committee’s mission is to promote diversity and community within our school. The committee work with room parents to promote school events to all families. Or consider volunteering in your child’s classroom, as a Room Parent, or at a specific event. Details can be found on our Volunteering Page.